Fangaea will now also be featuring an Escape Room Experience! 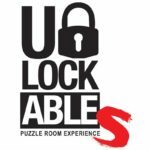 Featuring the combined maniacal minds of three of the most exciting escape rooms in San Diego, you will find yourself wanting to GET IN just to GET OUT! 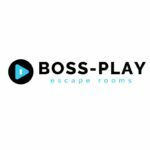 The Asylum is a 10 Minute Mini Escape Room where you will be Straight-Jacketed to your partner locked inside of a padded cell. Can you find your way out? Or remain a patient forever? Stop by the Galleria Room (upstairs) and schedule a time for your chance at victory and freedom. Get bragging rights by being the fastest to escape! Rules: Sign up for a time and arrive 10 minutes before your scheduled time slot to prepare for the experience. If you are not present within 5 Minutes of your scheduled time, your slot will be given to the next group and cancelled without notification and refund! Cost is $5/person and the game is always played with 2 Players. One of San Diego’s most highly recommended rooms! They offer some of the most unique and innovative puzzle designs around! 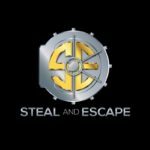 Steal and Escape is a MUST PLAY! Pushing the limits of game design, Boss-Play offers some exciting innovations to the industry! One of the few venues that have “locl-less” experiences and high quality set designs! A unique escape experience designed by gamers for gamers! they offer some of the most immersive experiences in San Diego. Are you unlockable?